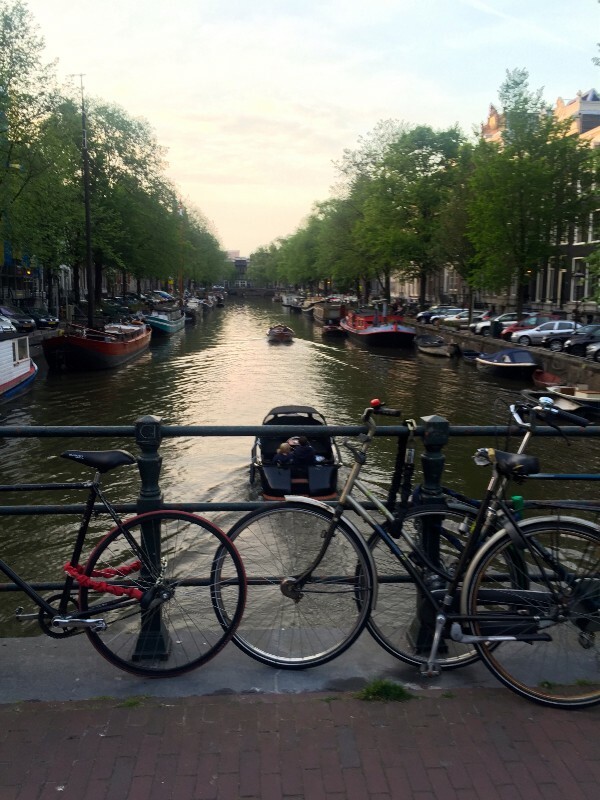 Amsterdam is like a wild child — untamed, eccentric and free. It’s hard not to fall in love with it. I spent only 3 days there, and I can’t wait to go back again. It’s a city filled with canals and bikes. When I think about Amsterdam — that’s the image in my mind. Bikes tied to the bridge over a canal, lush green trees either side of the canal, benches for people to sit under the trees watching boats pass by on the canals every couple of minutes. Small coffee shops round the corner, and people walking and biking all around. Of course, you’ll hear music being played by the street musicians. This is Europe, after all. It’s not a big city by any means, and you can walk all over the city. You can also rent a boat, and see the city from the canals. But I feel the best way to see Amsterdam is to get on a bike and start riding it. You’ll get intimated by the locals at first, but don’t let that deter you. After a few hours, you’ll feel like a local yourself. Amsterdam will do that to you. Just ride over the canals, ride in the parks, ride to the museums — ride everywhere. It’s inexpensive, fun and an exciting way to see this fantastic city. I love the fact that there’s this huge park, so close to the centre of the city. All great cities have something like that (like Central Park in New York) and Amsterdam is no exception. 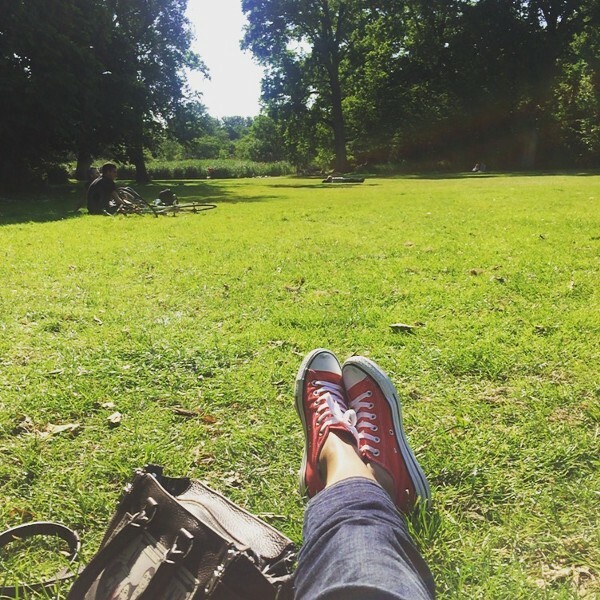 You can spend anything from few hours to few days exploring Vondelpark. We went there on a sunny afternoon, biked across the park — and then lazed around on the green grass. It’s family friendly (I saw school kids to young families with toddlers to elderly couples) and there’s such a peaceful vibe to it. Being a vegetarian, I am incredibly delighted to say that I had the one of the best veggie sandwiches in an Amsterdam cafe called Filter. It was freshly made, warm, and toasted just right (It also had avocado, which is my current favorite ingredient). I tried the vegetarian hopscotch (hopscotch being the classic Dutch dish) at Moeder’s, a cutesy place with pictures of moms all over, which was good. For some reason, Amsterdam is also famous for being a pancake heaven, so I definitely had to try them. We went to the pancake bakery, and it was well worth the hype. There are tons of flower markets (tulip lovers will go crazy), canal cruises and boat rentals — all very touristy, but well worth it. Amsterdam is also a shopper’s delight — great stores at every budget. If you need inspiration on styles and looks, you’ll find it plenty all around. All the latest fashion trends will be on the streets. The Dutch are very stylish, and also very helpful. Don’t be afraid if you don’t know the language, everyone here understands English and tries to help tourists. There are a lot of hipster bars, and Amsterdam feels like the grandfather of SF in that arena. Jordaan was another interesting neighborhood, which I sadly didn’t get to explore enough. Of course, I can’t talk about Amsterdam without mentioning the red light district. It is so unique and very vibrant. It’s like a town in itself. Whatever notions you had about it, you’ll definitely be surprised seeing it in person. Amsterdam will mean different things to different people — one can spend all of their days smoking pot, some can spend all their time at the red-light district and someone else can shop to their heart’s content. There is something for everyone — so that's why it's a truly great city. If you haven't seen it yet, do yourself a favor — and go there as soon as you can.